East Walton is a pretty little village which feels much more remote than it actually is. There is no through traffic, which always helps, the parish church is an absolute delight, and the street has three large, handsome houses, one of them the former rectory and the other two probably farmhouses. 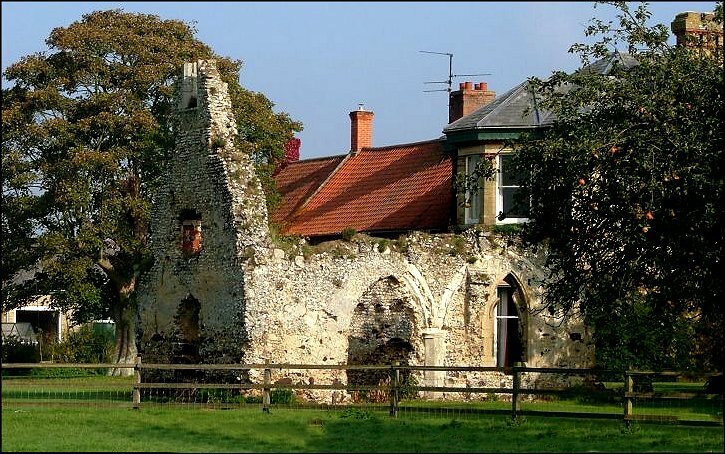 In the garden of one of these stands this substantial ruin, the former Priory chapel of St Andrew. 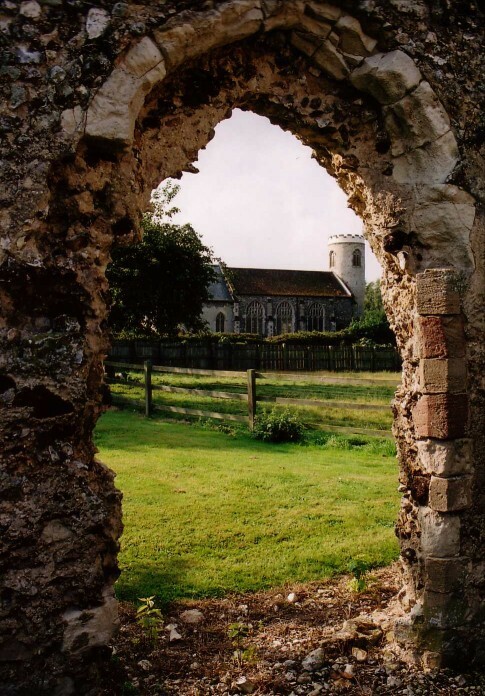 It belonged to the Priory at West Acre, and the west end with its doorway juts out into the garden of the house beside the church. 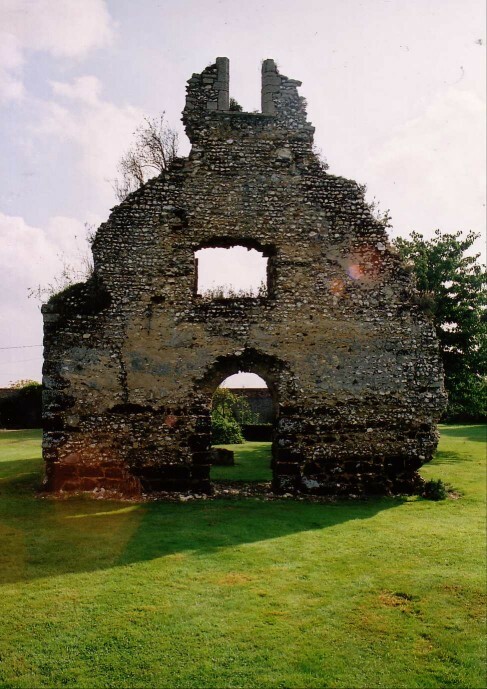 Intriguingly, an arcade appears to have been filled in at some point, and the bell turret in the west wall appears later than medieval - was it still in use for something after the Reformation? 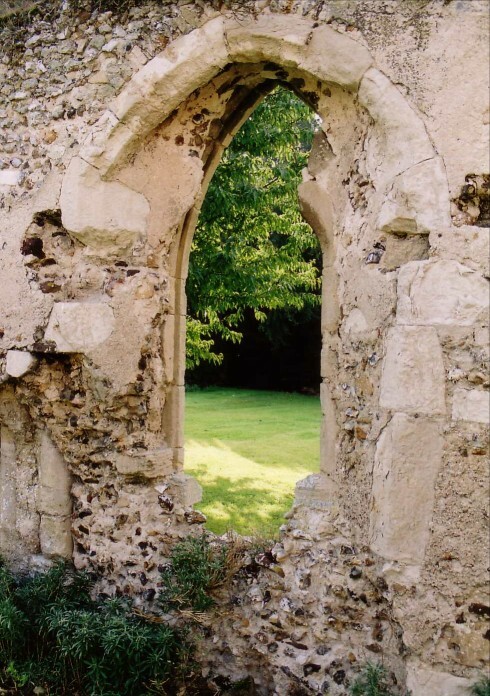 You can see the ruin well enough from the churchyard, but Peter Stephens was fortunate enough to be able to wander around it a year or so back, and took the photos below.